Analyses business strategy formulation to give the student practical experience and confidence in handling complex business situations. Comprehensive business cases will be selected in fields such as finance, control, personnel, production, marketing, and general management. Acquaints the student with management decision-making and effective verbal and written business analysis. 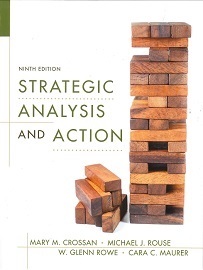 Teamwork and organizational change are addressed as elements of strategy implementation. $662.18 - $669.32 See individual course offerings below for actual costs. Interested in being notified about future offerings of BUSA 4800 - Management Policy? If so, fill out the information below and we'll notify you by email when courses for each new term are displayed here.